Item # 142854 Stash Points: 10,199 (?) This is the number of points you get in The Zumiez Stash for purchasing this item. Stash points are redeemable for exclusive rewards only available to Zumiez Stash members. To redeem your points check out the rewards catalog on thestash.zumiez.com. 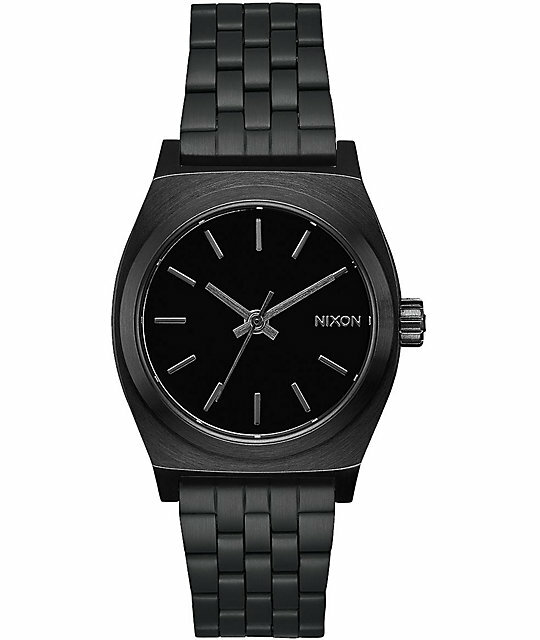 The Medium Time Teller watch in all black from Nixon takes the iconic Time Teller silhouette and scales it down to a smaller size. 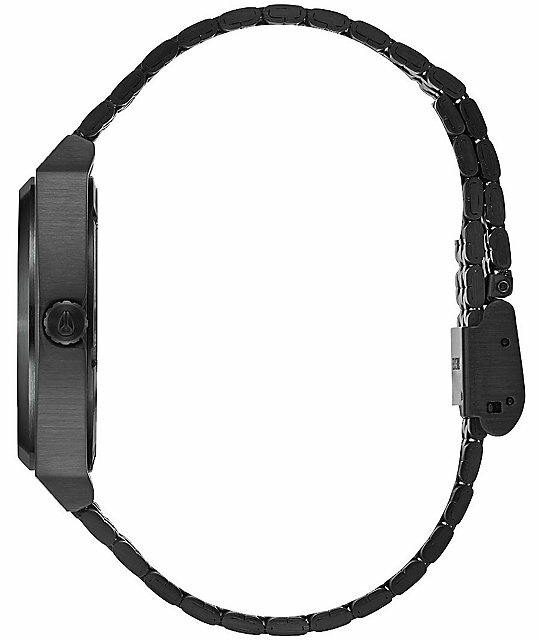 The 31mm black stainless steel case showcases a matching 5-link jewelry styled band and black face that creates a monochromatic look that can be worn anywhere anytime. 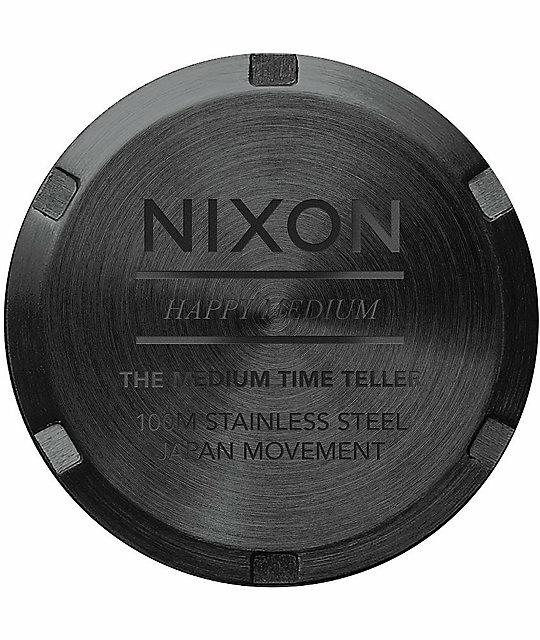 The face of this Nixon timepiece is adorned with applied hour indices and custom molded hands, while the band features a sliding buckle closure for a secure fit. 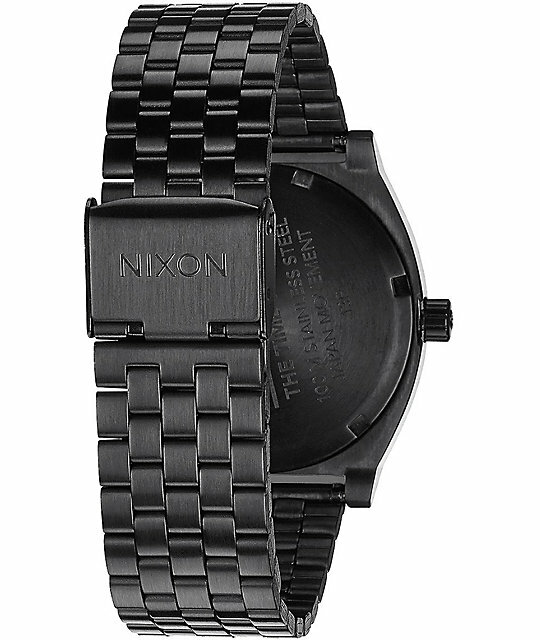 Medium Time Teller All Black watch by Nixon. 16mm tapered 5-link stainless steel band with locking clasp.